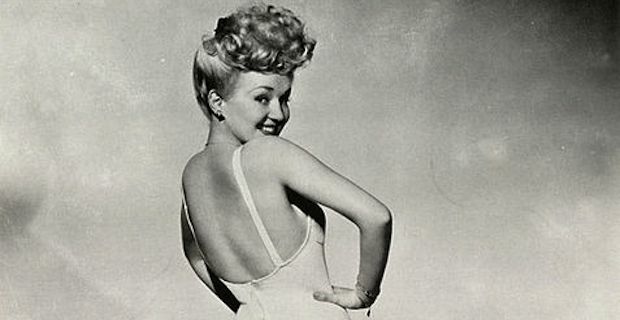 The 1950s marked an era filled with easy and appealing hairstyles such as the pompadour, rip curl and other styles. If you are looking for easy 1950s pin up hairstyles, we gathered a few of them so you feel experiment with different ways. From simple to tricky styles, there are plenty of techniques which you can follow and do yourself without going to the saloon. Try these at home before going out so you won't be disappointed with the results. As a first step, curl your hair using rollers so that you can style it easily. - To do the pompadour style, start by taking a section of your front hair. Tease it a bit using a brush and pull it backwards; twist it 2x and push it forwards and secure with a clip. Take the sides of the hair, twist and pull back. Do the same with the other side. For a different look, twist your hair into a pony tail and accessorise with a lovely bandanna or head scarf. - If you want to do the swirl, make a side parting. Take a triangular section from the other side. Tease it a bit. 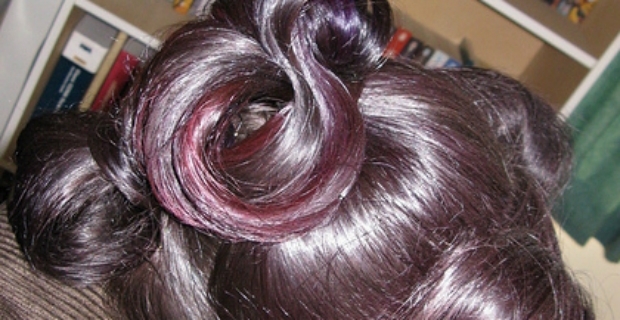 Roll it upwards and towards head like a swirl and curl. Pin at the back. Do another one and side twist. Use a flower or bandanna to accessorise. Do a swirl in front. Use a pin to secure it or use a hair spray to keep in place. - Another easy style is just to gather and pin hair at the back. Use a fake fringe roll. Roll at the back. Tie a bandanna around head and accessorise as needed. Another fast and easy tip is to sweep hair at the side. Twist and roll. Put a flower or ribbon as accessories. There are still many 1950s pin up hairstyles which you can experiment on. Look at several vintage hairstyles of your favourite artists, test at home and see how easy it is to achieve the retro look.